Multiple offers-- highest and best by Sunday, 10/14. 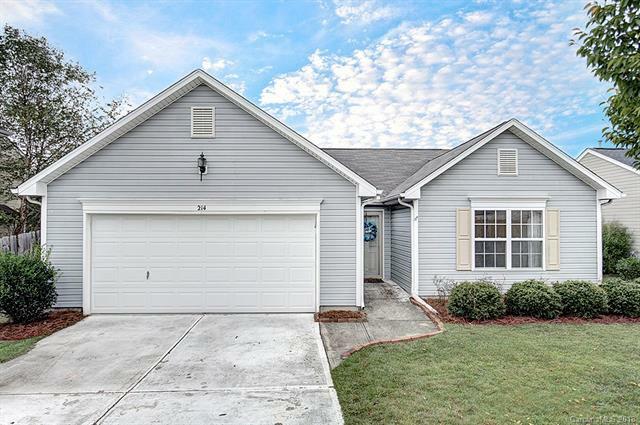 Ranch floorplan in a great location with easy access to 85! Well maintained and move in ready with split bedroom plan and many upgrades. New wide plank flooring throughout main living areas and kitchen. Fresh paint, kitchen updated with newer Stainless appliances ,granite counter tops, pantry and eat in dining area. Great room with vaulted ceiling and ceiling fan, TV bracket remains. Master bedroom with large walk in closet, owners bath with garden tub and separate shower. Bed 2/3 with good closet space and access to a second full bath. Laundry room with shelving for storage and storage closet. Back yard is fenced with extended patio - great entertaining area! 2 car garage. AC replaced in 2017. Property has handicapped accessibility with 36" doors and no stairs. Easy commute to shopping, restaurants and hospital area.